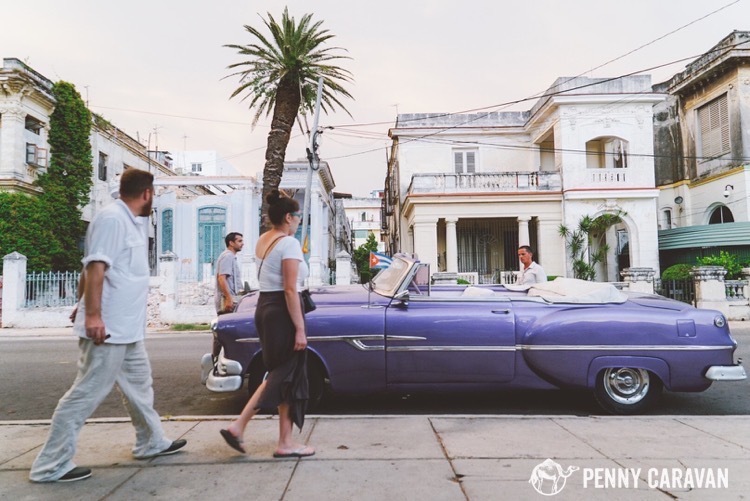 Cuba has been on our destination map for awhile now, but plans to visit never materialized. When the changes between U.S.-Cuba relations were announced, we knew we had to make it happen before U.S. corporations began setting up shop and the allure of the “Old Havana” began to change. 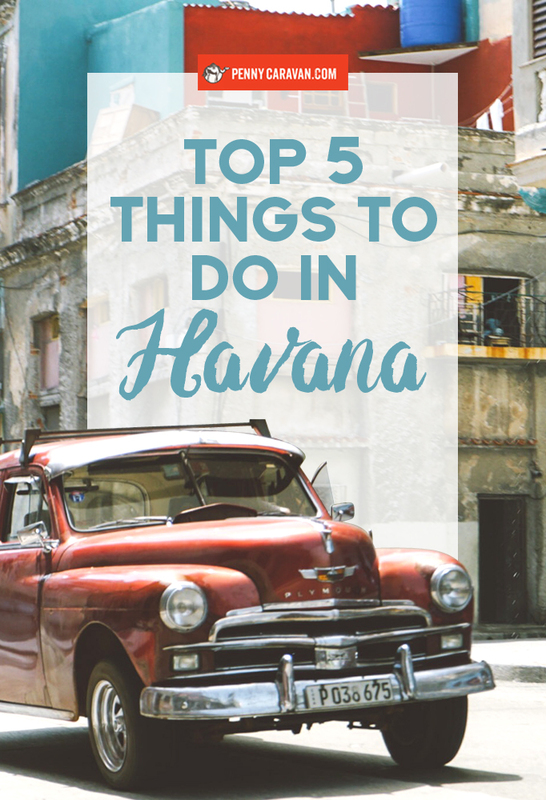 We’ve just returned from a long weekend in Havana and the first thing we thought we’d share is our list of the top things to do while you’re there. The author’s association with Cuba is as much a part of his identity as he is of theirs. We spent our first (and last) evening at Floridita, one of the most famous bars in the world, and makers of fine daiquiris. 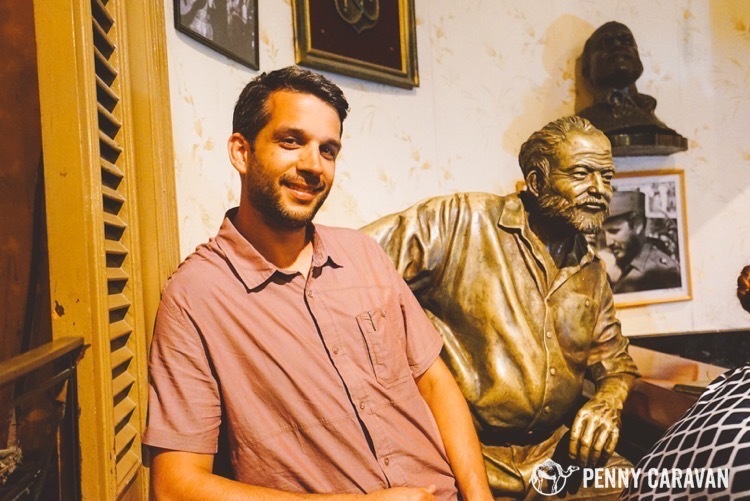 Hemingway was a daily presence at the bar and a statue of him in the corner ensures his daily presence continues. Floridita oozes style and you’ll instantly feel transported to a bygone era when mob bosses and movie stars mingled on the island nation. 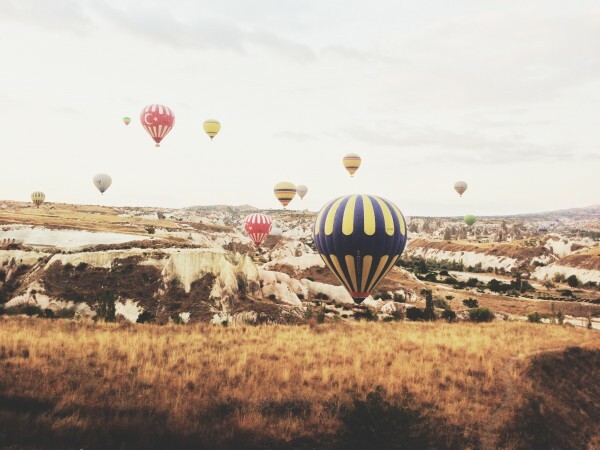 The bulk of the patronage will be other tourists, but that’s how it has always been, so the experience remains authentic. Drinks are around $5. A bartender mixes up a drink at Floridita. 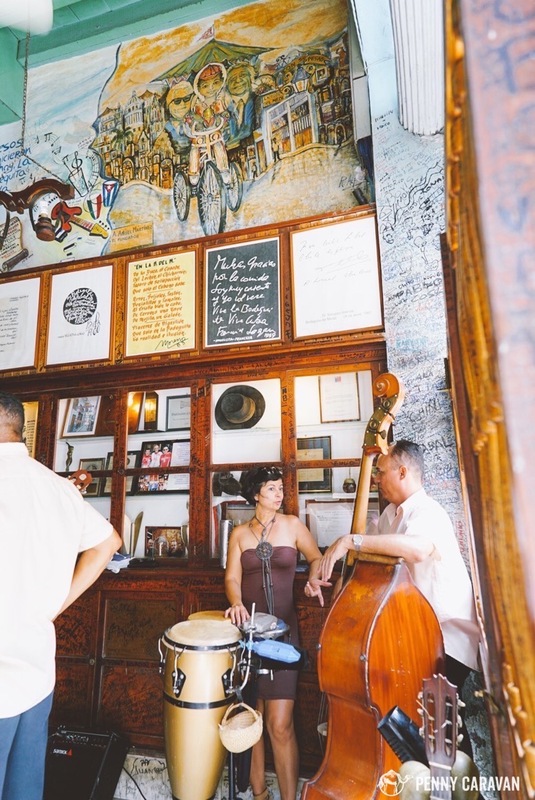 Take respite from the sweltering heat at La Bodeguita del Medio, another Hemingway hangout and the alleged birthplace of the mojito. You can order food as well as other drinks but the rum and mint cocktail is obligatory. 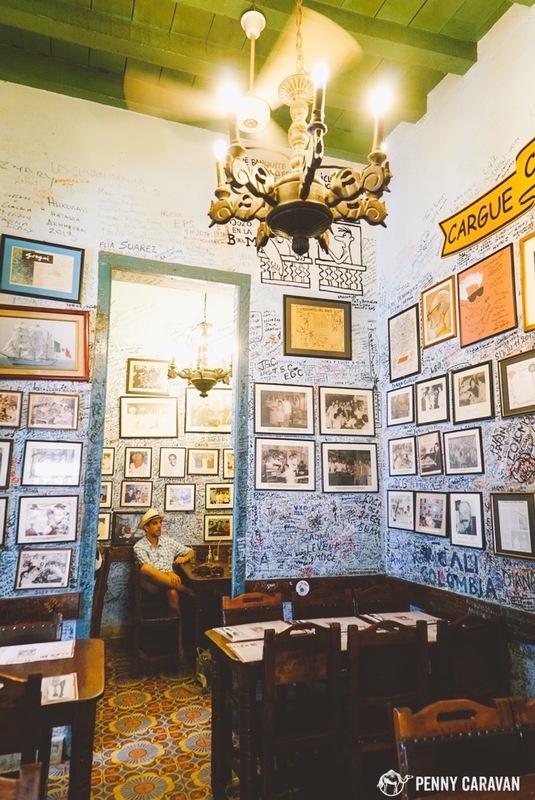 Add your signature to the tables or walls and observe photos of the many famous figures who also shared a drink there, in addition to Hemingway. A mojito will set you back $4. 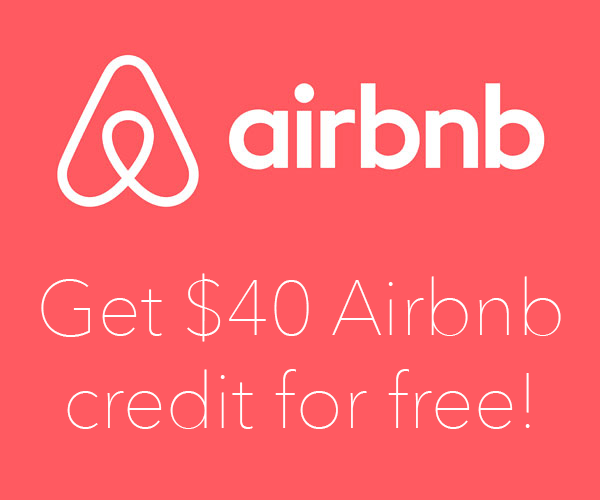 Have one here for the experience before finding cheaper options around the corner. Add your name to the wall at La Bodeguita. Live music was everywhere. Tip: carry some change. 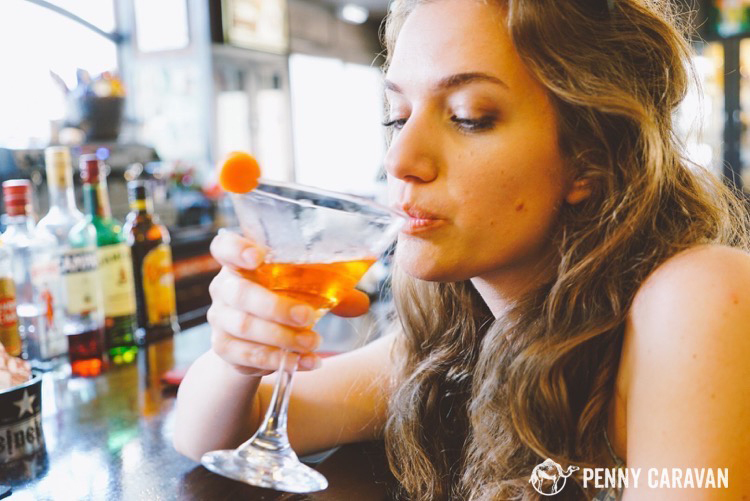 Complete the bar trifecta by venturing out to La Terraza which is close to Las Playas del Este. 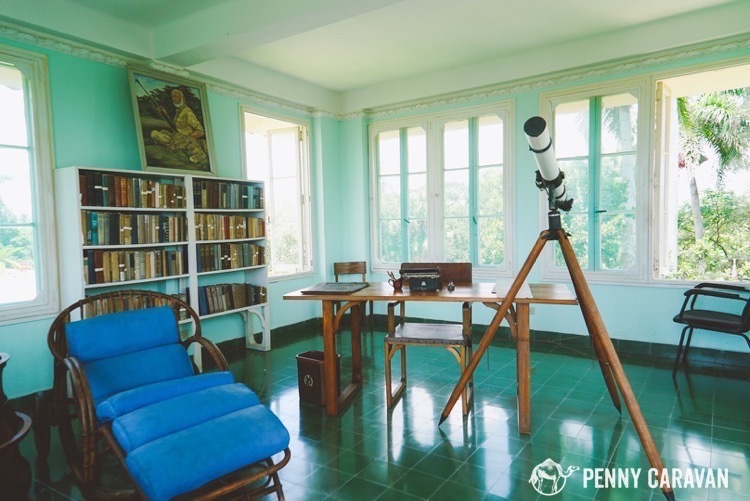 It’s in this area that Hemingway was inspired to write The Old Man and the Sea. The vibe of a sleepy little fishing village remains, but the lack of boats in the water snaps you out of the illusion and reminds you of the nature of post-Revolution Cuba. Drinks run around $3. Having a drink at La Terrazza in Cojimar. 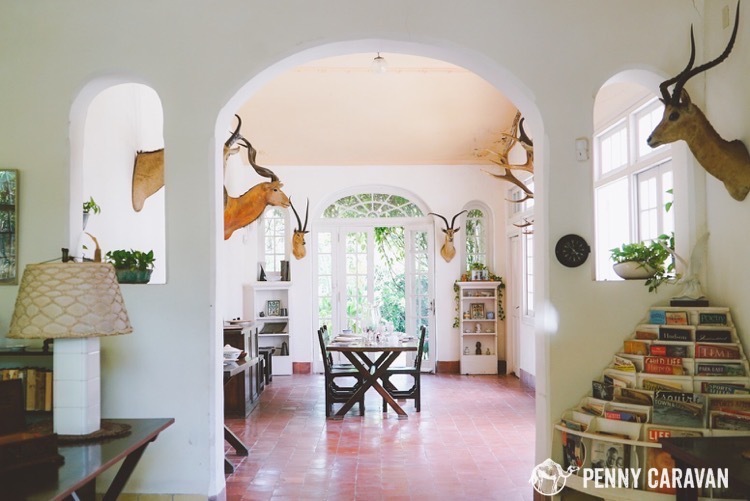 Finally, take some time to go to Hemingway’s house in Finca Vigia. It has been preserved as he left it after he fled Cuba. 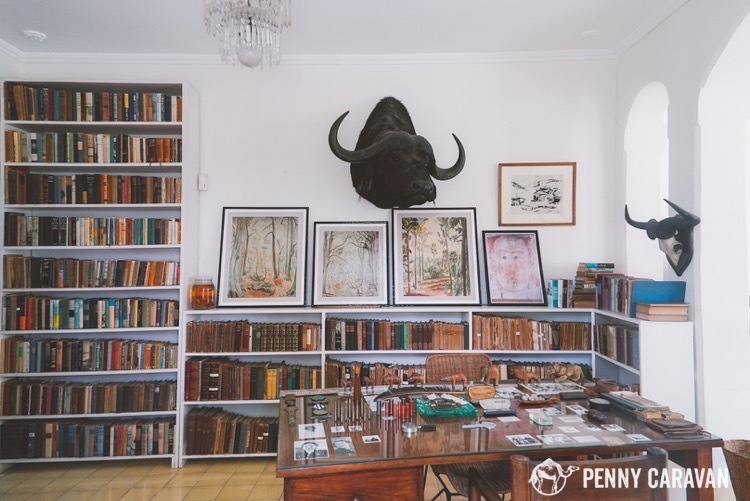 You can’t go in, but peeking through the windows offers a glimpse into the life of the famed writer, which in turn reveals a bit of his mind to us. Bookshelves lined nearly every wall, and trophy mounts hung in every room. Wes Anderson couldn’t have designed a more perfect set if he were making a movie about the author and adventurer. The property is lovely and his boat is preserved in dry dock. 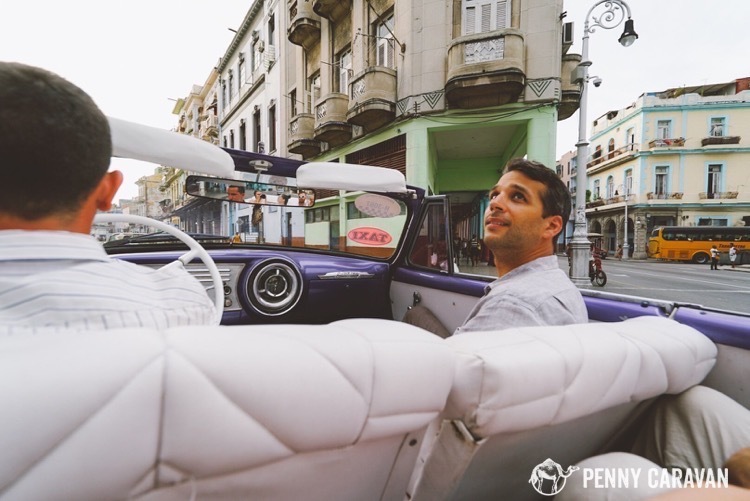 It’s about a 20 minute taxi ride from downtown Havana. We combined it with La Terrazza and some time at the beach and got a better combined taxi rate. Entrance to the property costs $5. Hemingway’s House is pretty much perfect. He even had an observation tower. 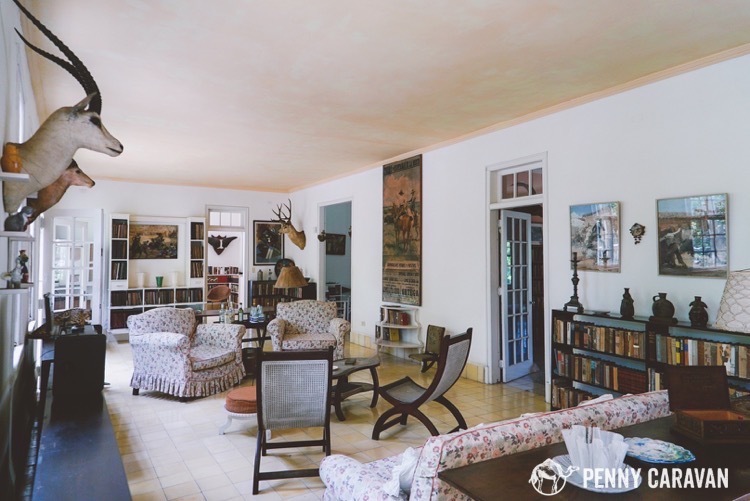 Hemingway’s living room. The trophy mounts may not be for everyone, but they’re exactly what you’d expect to see in his house. 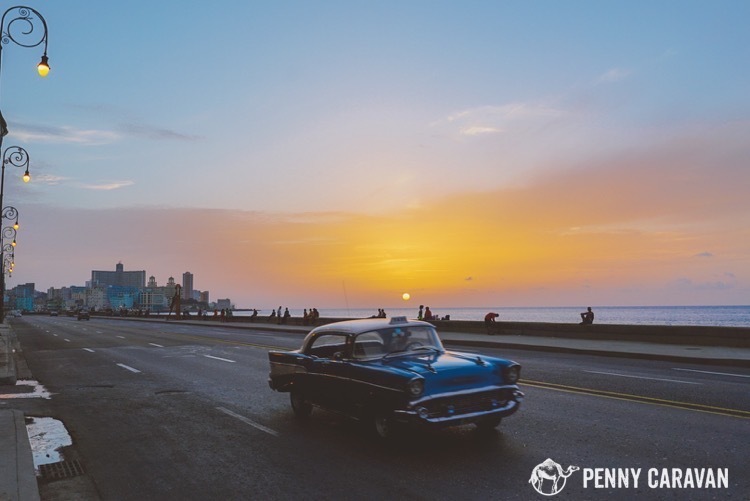 Of course the classic American cars that line the streets are synonymous with Havana, making it a must-do on any travelers itinerary to rent a driver for a tour of the city. Options vary from an hour to four (or more if you so desire), but we opted for the quick one hour tour, and enjoyed the ocean breeze as the sun sank beneath the horizon. Around $25 for an hour ride. Our friends Matt and Alyssa jumping into our purple convertible. An open top drive lets you take in all the sights. 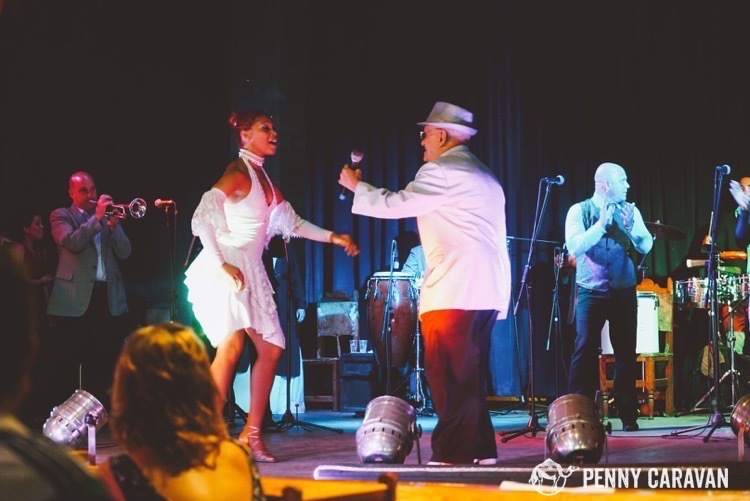 We had an absolutely fantastic evening enjoying the performance of Los Legendarios which include members of Buena Vista Social Club and the Afro-Cuban All-Stars. Iylana’s favorite was El Chama (“The Kid”), an octogenarian who still knew how to work a crowd. 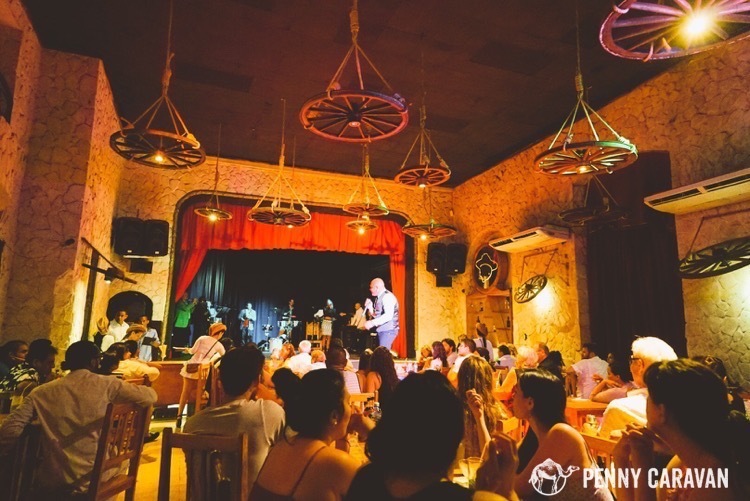 El Guajirito is unassuming from the outside, but once you’re in, you’ll find a classy venue for an intimate evening with music legends. To finish things off they invited everyone to conga up onto the stage. Great fun all around. Tickets are $30 for the show or you can get dinner included for $50. Both include three cocktails. 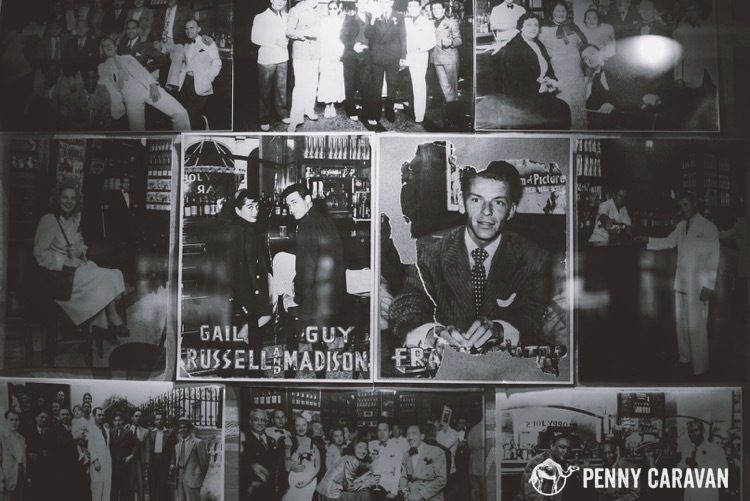 The classic sandwich derives it’s namesake from the bar which used to be frequented by such names as Frank Sinatra. 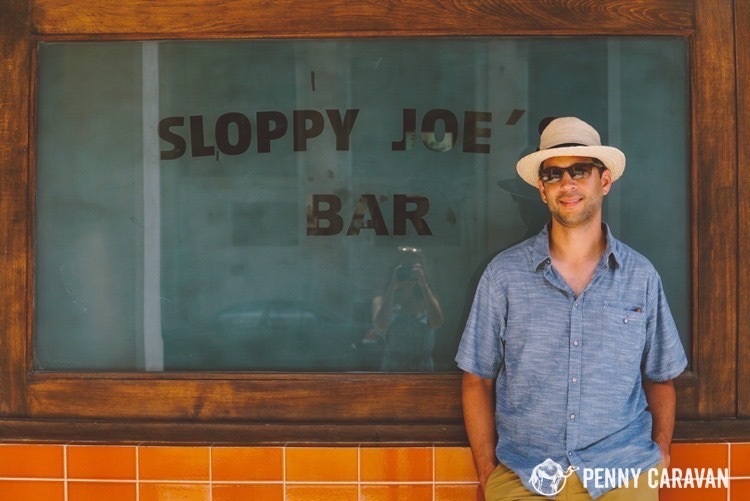 If you’re a fan of the song “A Weekend in Havana” then you know the line “Meet me down at Sloppy Joe’s.” That was enough for us to put it on our list. Like Floridita, it’s populated by tourists, but the sandwich is good and the drink menu extensive. 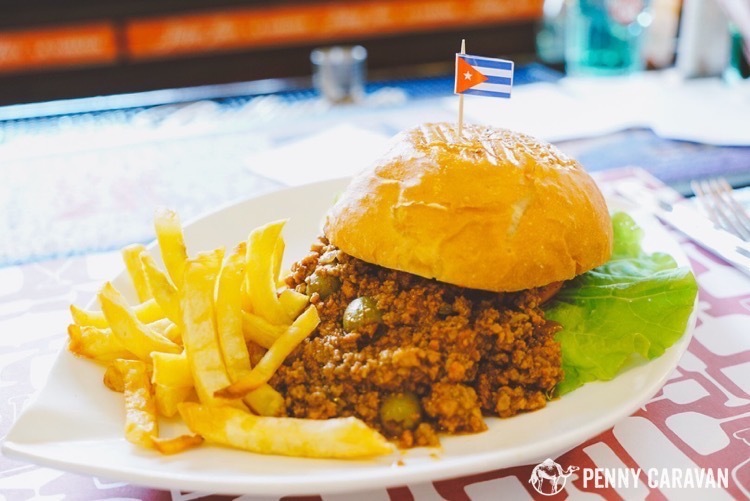 So if you find yourself needing a change of pace from mojitos and Cuba Libres, Sloppy Joe’s is a good spot to find international beers and cocktails. A Sloppy Joe sandwich runs $6 and is served with fries. Giant sandwich for $6. We split it. Iylana was happy to find a bar serving up so many different Campari drinks. 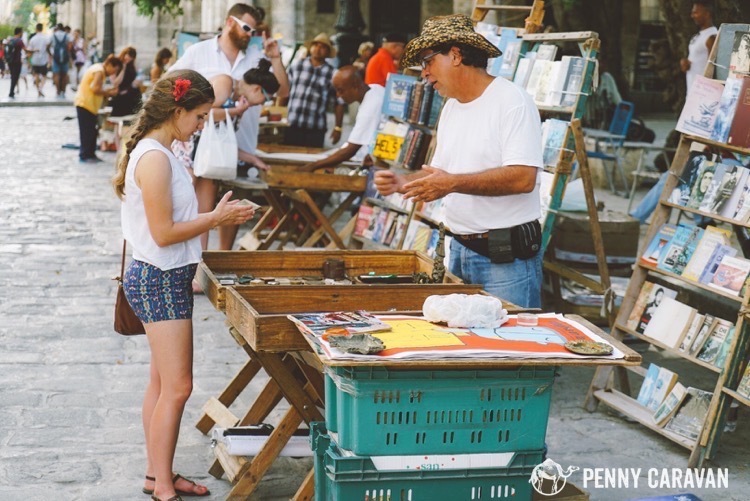 Vendors set up makeshift booths with an interesting array of trinkets, books, and Cuban movie posters. 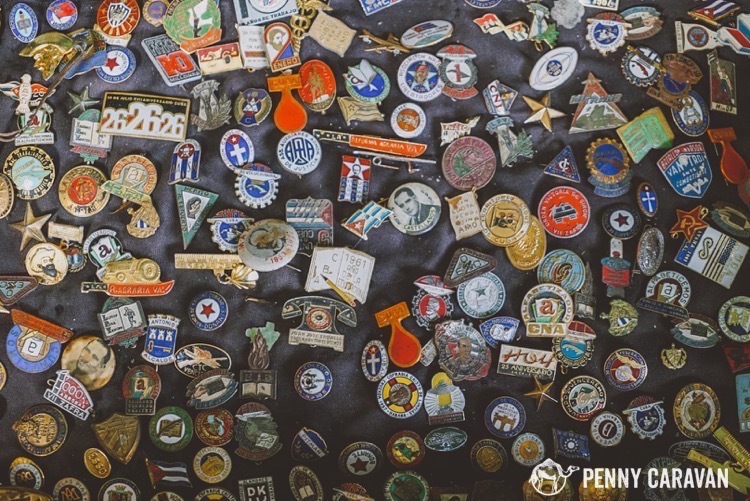 It’s a good place to pick up a souvenir other than the typical stuff you will find in the stores lining Calle Obispo, and also a good place to engage the locals on their thoughts about the current political climate. 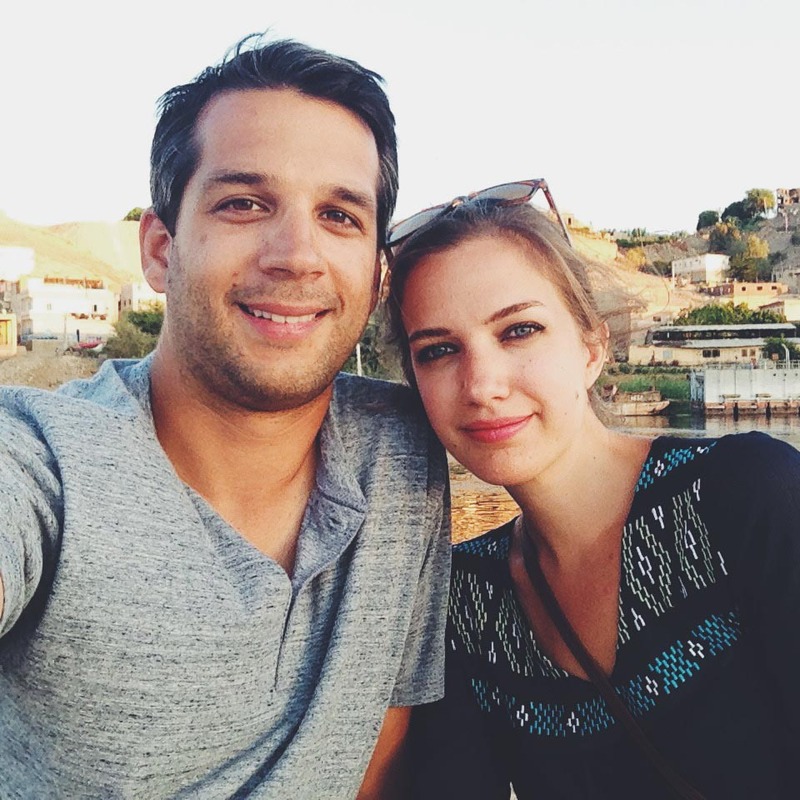 Opinions varied, but in general, everyone is excited about changing Cuban-U.S. relations. The plaza is an easy and enjoyable walk from Parque Central. Iylana doing her favorite thing—shopping for antiques! Engaging in these activities will give you a nice feel for Havana, but of course you can always delve deeper! 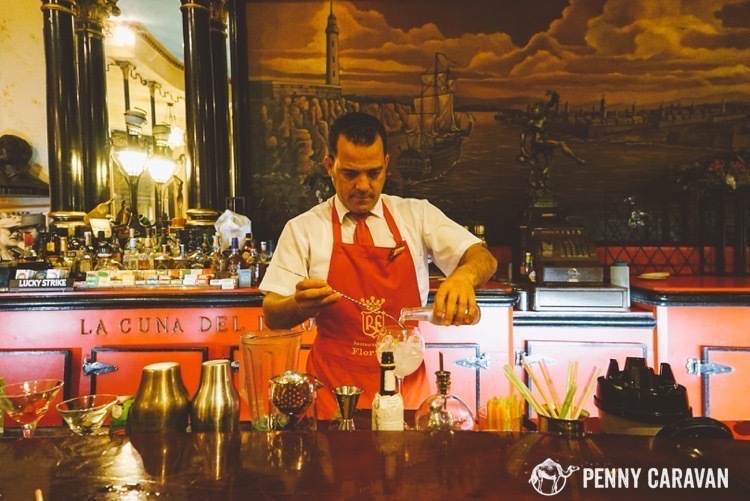 Go to a smoke shop to browse fine Cuban cigars, visit the Hotel Nacional where the mob used to base their operations, and hit the dance floor at a salsa club! 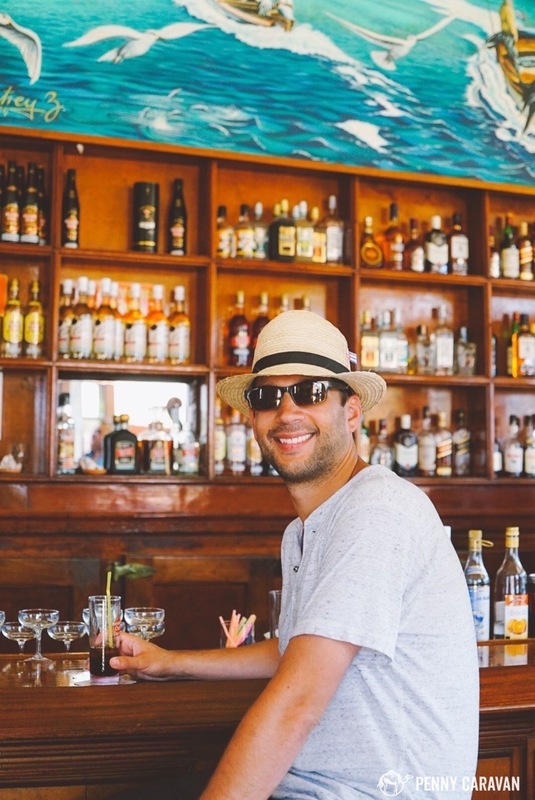 Havana offers tons of character and flavor for every type of visitor.